What better way to roll around Jacksonville, than in a handsome stretch limousine that is unlike anything you’ve ever seen before? This sassy party bus is sure to cause a ruckus in Jacksonville! Heads will turn wherever you go in this beautiful party bus, fitted with a fully customized paint job. Jacksonville, Florida is a beautiful city located by the Atlantic. Known for its Oceanside beauty as well as it's electric nightlife, Jacksonville is a great place to visit and live. There’s just something about a town that is situated on the water with an undeniable charm and friendly residents. Whether you're a longtime local or brand new to the area, or even just visiting for the weekend, we'd love to be the ones to take you on the road and show you how beautiful it really is around here. The stunning beaches including American Beach, Atlantic beach, Little Talbot, and Mayport... the glittering nightlife, the mouth watering restaurants... There's just so much to do and see, and you'll be able to enjoy it even more if you do it with us. 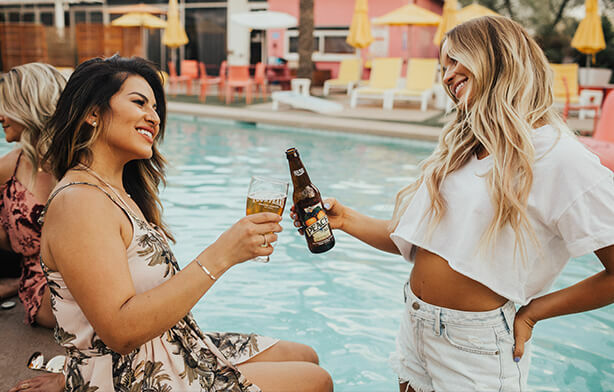 You’ll love all that this town has to offer, and you’ll enjoy it even more if you find yourself in a party bus or limousine! 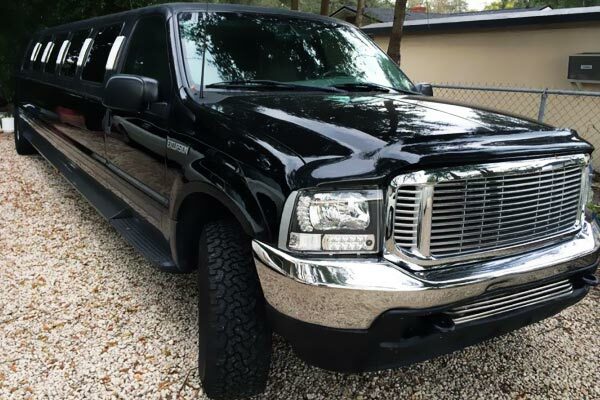 The tops Jacksonville Party Bus company is here to offer the residents of Jacksonville and the surrounding areas a fleet of luxury vehicles for their transportation needs. To say our fleet is luxurious may even be an understatement - they're truly lavish in every way from the custom interior designs, the plush leather seating, the amazing entertainment packages - our limos and buses have it all! The variety of features make our vehicles perfect for any occasion! In the mood for music and drinks? Enjoy the CD/iPod players and ice coolers and glassware. Want to relax with a movie? Our limos have flat screen TVs and DVD players. Want to set your own club vibe and dance the night away? We've got buses with dance poles and neon lighting! Our limousines are versatile and luxurious! 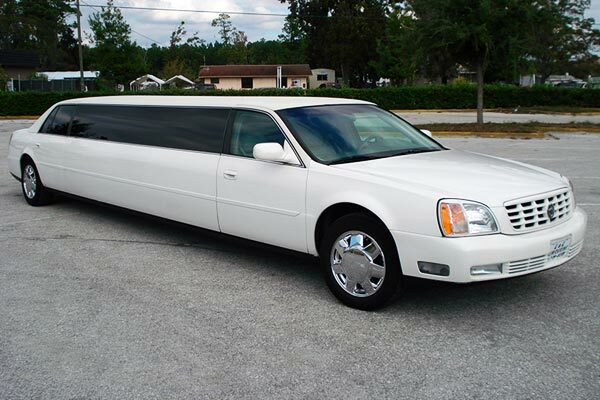 In addition to the variety of Jacksonville Limousine features, our vehicles also come in a variety of sizes so can accommodate any sized group! Our 24 hour service all over the state only adds to the amazing service we are able to provide you! We’d love to accommodate your itinerary for the night, and we’re also here to let you know of the best places around, so you’re guaranteed to have a great time either way. Our friendly customer service agents love to talk to potential and returning customers, and we have a lot of returning customers, which says a lot about our company. In addition, they know how to help save you money if you're working with a tight budget right now. We understand that even if you're a high roller, you don't want to spend more money than necessary, so we put forth every effort to pass on every bit of savings to our customers. Ways in which we do that? First and foremost, we only purchase brand new vehicles for our company. That way, we know that they are in perfect condition from the get-go. We maintain them in exquisite condition so that they will use less fuel than most, and we have them inspected and cleaned after each trip to make sure that they are in 100% tip-top shape. We've heard horror stories of competitor companies having their buses break down on the road during their customers' trips, and that's the last thing we would ever want you to have to experience. Your day of fun in the sun and then dancing late into the night in the local clubs should be effortless and flawless when it comes to your transportation. The only way to ensure that is by keeping our vehicles in sparkling like-new condition, and so we work very hard to do so. Another thing that we do to make sure that you are truly safe on the road is to background check and drug check our professional chauffeurs. We want to make sure that they are as reliable as can be, not just excellent drivers but that they have a totally clean record as well. These are truly pro drivers who know their way around these streets to the point that they don't even require the state of the art GPS systems that we provide for them. But thanks to those systems, even if they happen to not be familiar with a particular destination that you call out during your trip, they will be able to find it for you in two seconds flat, without you ever having to pull out that smartphone and ask Siri what the address is. You'll feel doubly safe on the road thanks to our drivers being so professional, and if you're having your teens head out with us for their proms or graduations, that's something you'll appreciate even more. Booking your bus with us could not be more convenient. We welcome you to call us or send us an email anytime. We are here in the office 24/7 to address any concerns that you have, so no matter how late it is when you're reading this, don't hesitate to reach out! We do business 24 hours a day, seven days a week, so we can handle even very long trips or even those that span multiple days. If you’re ready to book now or you have a few more questions, call or email us at your earliest convenience and we’d love to talk to you and provide you with a great experience. Leave the traffic stress to us! We are your designated driver!